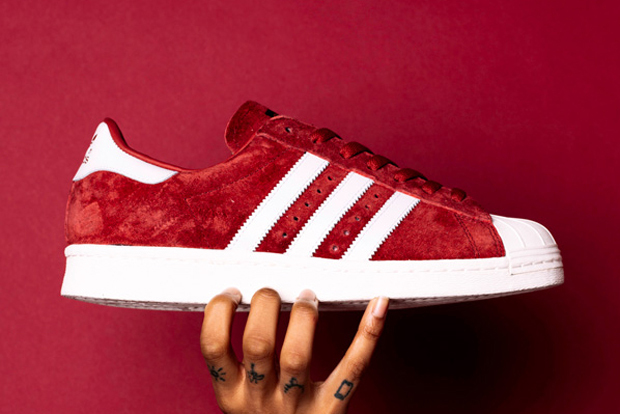 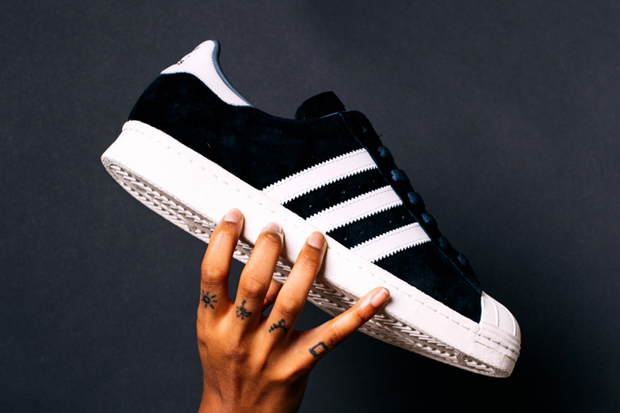 Four new adidas Superstars are arriving in April, each featuring a premium suede build for those of you who want to commit to the lifestyle classic. 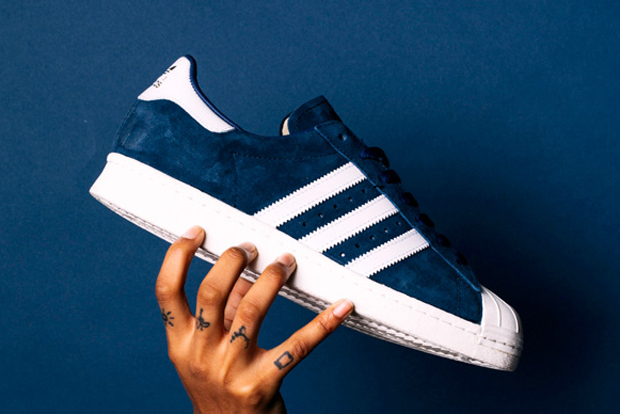 The shoe is undoubtedly an icon of street culture, and the ubiquitous shell toe returns with the premium tooling once again. 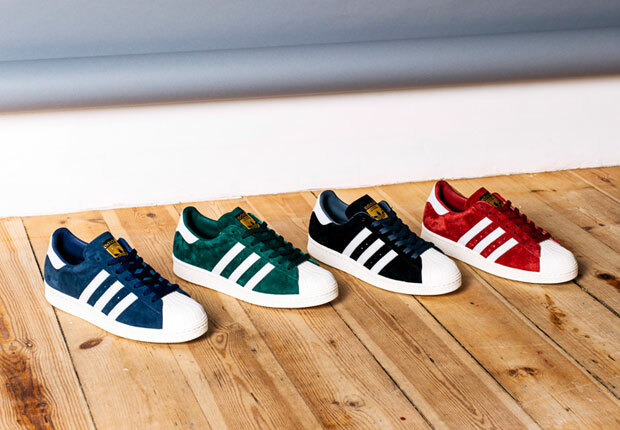 Available in navy blue, green, black, or red, each shoe keeps things rather simple, with white leather three stripe branding on the side to match the midsole and toe. 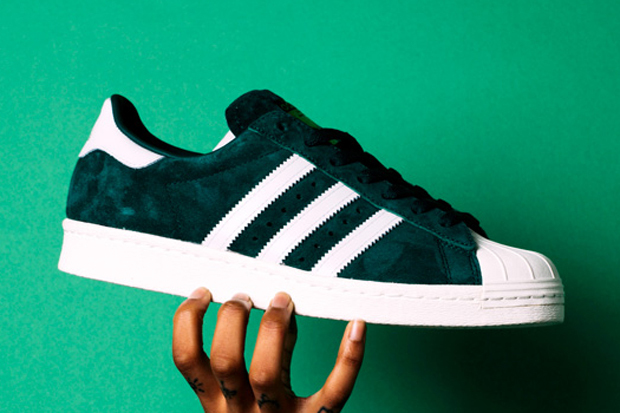 Available at select shops on April 1st.